Venture capitalists, private equity firms and sports industry titans are plowing money into the lucrative eSports industry, as it begins to look more and more like professional sports leagues. Global eSports leagues have been around for many years now, but the launch of Activision Blizzard Inc.'s (ATVI - Get Report) Overwatch League last week has shed a light on the rapidly growing business of professional video game playing and the lucrative opportunities it holds for the team owners, players and brand sponsors involved. Several video game publishers plan have recently launched their own eSports leagues, adding a new layer of legitimacy to the industry. Aside from Activision, Tencent Holdings Inc.'s Riot Games operates the massively successful League of Legends franchise, Take-Two Interactive Software Inc. (TTWO - Get Report) launched an NBA 2K league and Electronic Arts Inc. (EA - Get Report) has the FIFA eWorld Cup in 2018. The leagues have drawn more and more venture capitalists, private equity firms and individual investors into the space, which has lent high-profile backers to many of the participating teams, improved the production quality and created a fertile ground for top brands and sponsors to get involved. Activision, a holding in TheStreet Jim Cramer's Action Alerts Plus, alone has attracted sports industry titans including Kraft Group LLC, the sports, manufacturing and real estate conglomerate owned by New England Patriots owner Robert Kraft; Los Angeles Rams co-owner Stan Kroenke's Kroenke Sports & Entertainment LLC; Comcast Corp.'s (CMCSA - Get Report) Comcast Spectacor, which owns the Philadelphia Flyers; NRG eSports, backed by Alex Rodriguez, Shaquille O'Neal, Jennifer Lopez, Marshawn Lynch and Jimmy Rollins, among others; as well as Sterling.VC, the sister company of New York Mets owner Sterling Equities LLC that counts Mets COO Jeff Wilpon as a partner. Comcast is also a holding in Action Alerts Plus. At first, Sterling approached the eSports market tepidly, investing in the streaming and wearable technologies that help power eSports, as well as fan merchandise and athlete supplements. In the early days of eSports, it was considered risky to invest in a franchise when there were few guarantees for longevity -- teams could quickly fall out of the tournaments and video game publishers could pull intellectual property licenses from the tournament, which would leave investors with little recourse. The Overwatch League has been able to attract investors because it's operated by Activision, giving it some permanency and allowing investors to develop a long-term strategy around the franchise. As the second company to buy into the 12-team league, Sterling now owns the New York Excelsior team, which faced off against the Boston Uprising on day two of competition on Thursday, Jan. 11. 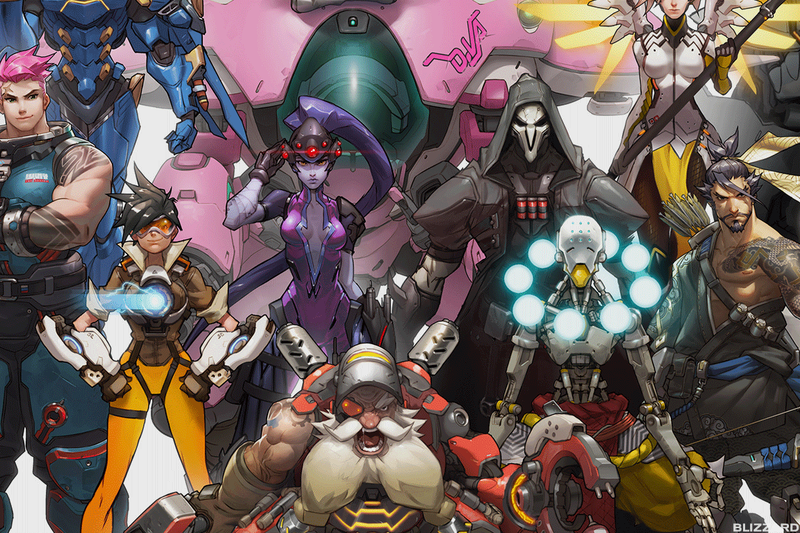 Activision's Overwatch League involves 12 teams that compete to win games of the first-person shooter. "It's an opportunity to not rush into decision making, and it's also an opportunity where you want to bring high-value investors in, connect them with the audience and help build a product that really resonates with them," Sterling.VC partner Farzam Kamel said. "What you get is people who are willing to come in with a great deal more resources at risk knowing that there's an opportunity to make mistakes, really test out strategies and focus on the slow build. I think a lot of investors who come into this have that mindset." Unsurprisingly, the Overwatch League and many other professional eSports franchises are beginning to look a lot like the traditional sports industry. ESports athletes follow regimens not too dissimilar from an NFL athlete, reviewing game tape and exercising for hours each day, while sometimes earning six- or seven-figure incomes each year. (Overwatch League players earn at least $50,000 a year.) Team owners such as Sterling often help pay for such things as coaches and trainers, housing, events, merchandise and brand marketing. Activision's commitment to the Overwatch League comes with incremental returns, at least for now. Sterling and the 11 other Overwatch team owners pay about $5 million over a multiyear period, amounting to about $60 million in annual revenue for Activision, which is largely immaterial compared to with company's total revenue, according to Piper Jaffray & Co. analyst Michael Olson. Amazon.com Inc.'s (AMZN - Get Report) video streaming platform, Twitch, also agreed to pay $90 million in total over a two-year period to stream Overwatch League games. Amazon-owned gaming platform Twitch signed a two-year deal with Activision to stream matches from the Overwatch League. The Overwatch streams could easily be monetized through sponsorship, presenting new revenue opportunities for Activision in the future. Twitch's Overwatch stream on Wednesday night attracted 400,000-plus concurrent viewers -- the highest number of viewers watching at any one time, according to IHS Markit analyst Piers Harding-Rolls. That doesn't even account for Asian viewers who tuned in using non-Twitch platforms. By comparison, the finals for the League of Legends World Championship and Dota 2 - the International had peak concurrent viewers between 5 million and 15 million, he added. "This is a grand experiment and one, outside of traditional sports, that has not been tried to this extent before," Harding-Rolls said. "The next major test will be the price paid for broadcast rights after the existing deal expires in two years." Many VCs and PE firms are hoping to get in on the action before the eSports industry truly takes off. The current hype is often compared with this year's cryptocurrency craze, wherein bullish eSports investors believe that a generation of "digital natives" are no longer interested in watching football on ESPN; instead, they'd rather watch their favorite eSports athletes compete in World of Warcraft tournaments online. It could mean big opportunities for advertisers while adding another threat to traditional pay-TV broadcasters. "There is growth in eSports, but it depends on every new generation growing up with video games," said Jens Hilgers, who launched BitKraft eSports Ventures GmbH & Co. KG, the first eSports-focused venture capital fund, and in 2000 started the Electronic Sports League, the oldest still-operating professional eSports league. "The first athlete they meet is probably an eSport player and not an athlete like Kobe Bryant." For the past 15 years, just about every industry, including video game publishers, investors and professional athletes, thought eSports and video games were a joke, said Gerber Kawasaki Inc. managing partner Matthew Iantosca, himself a professional Counterstrike player 10 years ago. Since then, big players such as Amazon and BAMTech LLC, majority owned by Walt Disney Co. (DIS - Get Report) , are no longer ignoring the industry, while Silicon Valley VCs are expanding their focus beyond tech and into the high-growth sports entertainment market. The "[Overwatch League] is huge for the industry as a whole. When I used to be a competitive gamer, I'd be lucky to have a thousand viewers," Iantosca said. "Now, people are realizing this is a legitimate industry."